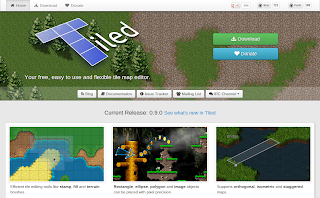 The past month I've been working on a new website for Tiled. The new site communicates better what the main features of Tiled are and improves the visibility of links to related pages and available download options. I also hope you agree it looks a lot better! An important change I made is to make the option to donate more obvious. My spare time has been very limited since my daughter was born, which will get even worse when the paternity leave runs out (which currently allows me to work part-time for a few months). So, my plan is that when enough people donate to Tiled regularly, I will switch my current full time job to part-time permanently, and spend the freed up time on Tiled instead. This means the donations will no longer be only a motivation for me to work on Tiled (which can be frustrating when I don't actually have the time), but they will contribute directly to the amount of time I will be able to spend on further Tiled development. The more that comes in, the less I will depend on my current job so the more time I will have for Tiled. I found the most suitable service for this is Gittip, which allows anybody to start or stop contributing at any time and does not charge additional fees. Other options and a rough future roadmap are provided on the Donate page. With the new homepage, this blog is now a little more in the background. 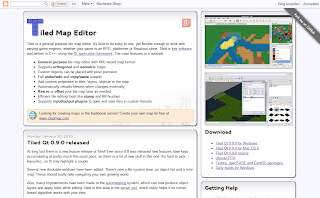 However, I plan to use it more actively so instead of only announcing the new releases I can write a little about new features when they are done for example, or highlight projects related to Tiled. Something in between what the blog was until now and the Google+ page (where of course new blog posts will also be shared). 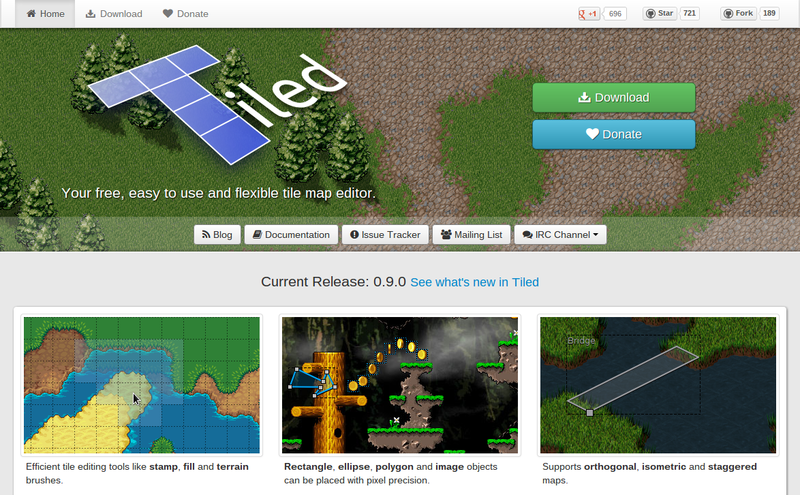 I'm excited about this new period in Tiled's development. I hope you are too!